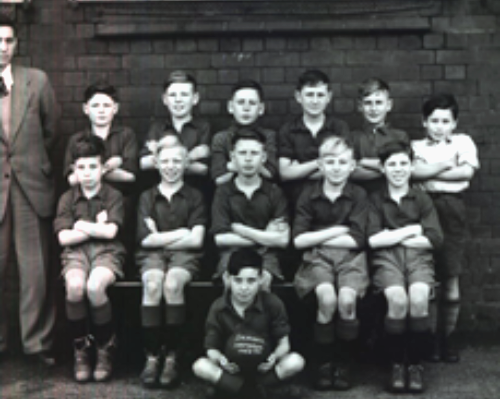 I’m sending you a photo of Ropery Walk school team 1952-1953 to add to your display – don’t remember winning many games, but I remember the names of the team. The teacher was Hilary Simpson. Back row L to R – Ray Howarth, Ian Gustard, Alan Thompson, Ron Oates, Jim Barrow, Des MacAuliffe. Seated L to R – Bill Mead, Alan Bowmaker, Ron Ord, Bill Foots, George Ord.